Submissive urination or submissive peeing is not a potty training issue. Both male and female dogs urinate submissively and some dogs even have a genetic tendency to do so. We see submissive urination in both puppies and older dogs, as well. Puppies have an undeveloped bladder and most will eventually grow out of the problem. But some won’t. To understand how to fix this behavior problem, we need to look at why your dog is peeing submissively in the first place. When you correct a dog with submissive urination, you just make the problem worse! Why Does My Dog Pee Submissively? Is it Really Submissive Urination? There are a number of reasons that this could be happening in your home. And, if you adopted a dog from a rescue or shelter, the chances that your dog urinates submissively are much greater. Shelter dogs tend to be more insecure, at least when you first get them. Their insecurity leads to behavior issues that you will need to address. Primarily, it is important to build your rescue dog’s confidence. They have been abused or punished severely – If you have a shelter dog, the owner before you may have abused your dog. A dog has been hit – Dogs really don’t need to be hit or yelled at. Discipline should be firm and gentle at the same time. You want to correct the dog’s behavior, not break his spirit. 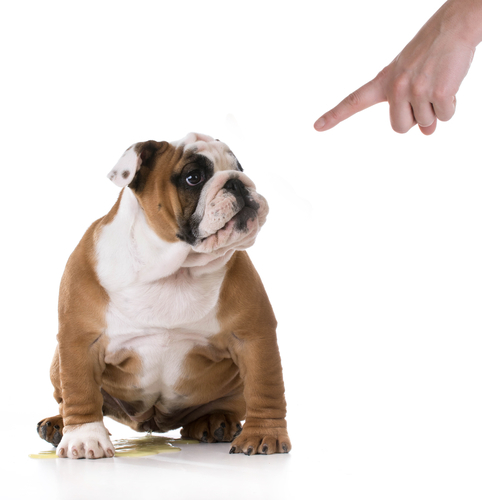 When scolded – Dogs who are very submissive, urinate when they are disciplined. Excitement – Some dogs pee when they get excited and happy. Inheritance – Some dogs actually inherit the tendency to urinate submissively. American Cocker Spaniels are an example. If we look at this issue from a dog’s point of view, the way to handle the peeing becomes more clear. Dogs who pee submissively generally lack self-confidence. They can be shy dogs who are communicating to you that they are submissive to the alpha or leader, which is you. In the dog’s world, when the alpha dog comes home from a “hunt” (in your case, it could be from the store or after work), the underlings greet the leader submissively. They are communicating that the alpha remains in the top position in the pack. The leader has returned safely. An alpha male or female dog will simply ignore the submissive dogs, reinforcing that the alphas are still in the leadership position. This is normal behavior in the pack. No offense is taken, and no one is vying for the leadership position. The underlings are quite happy where they are. The alpha leader guards and protects them and keeps other pack members in their place. It makes everyone feel secure and happy. Getting back to your dog’s submissive urination, your dog is showing you that she is submissive to you. We’ll talk about that a little later. Your dog is not peeing on the floor on purpose. It is involuntary and she is not even conscious that she is doing it. How you handle this, determines whether the situation gets better or worse. There are a few instances where your dog might be peeing because of something else. If your dog is house trained and suddenly starts to have accidents inside, it may not be submissive peeing. Sometimes a medical condition is to blame. Some rescue organizations estimate that as much as 15-20% of rescue animals have house training problems that are health related. If your dog is a rescue dog, you might consider consulting with your vet about your dog’s accidents in your home. If you suspect a medical problem is causing the urinary control accidents, your vet can help you sort this out. 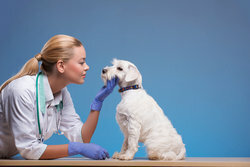 Above all, keep in mind that your dog should never be punished for having a medical condition. Simply clean up the mess without reprimanding him. One way to tell if you are really dealing with submissive urination is to observe when the accidents occur. Patting a dog under her chin is non-threatening, even to a submissive dog. 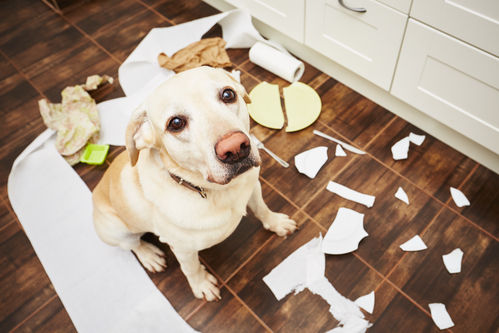 You come home after being away for a while – Your dog does not have accidents when you are at home. Company comes into your home – Interestingly, most friends will greet your dog before greeting you. This puts your dog at the top of the pack hierarchy. That is very uncomfortable for a dog who feels that his place is lower in the pack. 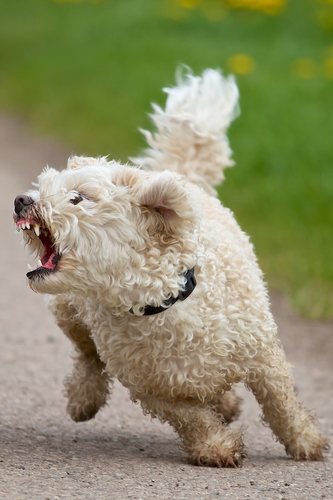 A person who is loud or excited approaches your dog – This is frightening to a submissive dog. 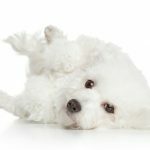 Your dog is patted on top of her head – This can be interpreted by a dog as an aggressive move, especially if the person does not know the dog. Unfortunately too many people have tried to solve this issue by correcting their dog verbally or, worse, by hitting a dog who pees on the floor when they come home. Giving your dog ANY attention (positive or negative) makes the problem worse. Verbal corrections – When your dog pees and you correct him verbally, you become more threatening. A frightened dog may pee. Bending over – When you bend over to pick up your dog or to discipline your dog, you are using a dominant or intimidating gesture. You are a lot bigger than your puppy! This may cause her to pee again. Getting excited – Dogs pick up on our emotions. If you get excited when your dog pees on the floor, she will become more excited, as well. A submissive dog who is excited may pee. Consoling the dog – Some people understand that the dog has not peed on purpose and so they pat the dog and console him. Your dog doesn’t understand this. Her interpretation is that you like the submissive behavior. So if you console your dog, you are reinforcing the submissive urination problem. Not what you want to do! I understand how frustrating this can be. It is no fun to have a dog that piddles on the floor when you come home. And less fun to clean it up! But you must be patient with your puppy or dog. If you step back and think about this for a moment from your dog’s point of view, you will understand how to approach this. As simple as it seems, you need to ignore your dog when you first come home. That means that you don’t talk to your dog, you don’t look at your dog, you don’t bend down and you don’t touch your dog. As hard as it will be, do this for 10 minutes, or until your dog has completely calmed down. Then, call your dog over to you, and you can show affection. Scratch your dog’s chest or pet him under his chin. Pats on the head are sometimes perceived as a threat. When you do this, you are communicating to your dog that you are the pack leader and everything is in order. Nothing to get excited about. Everything is normal. Do not correct your dog’s peeing, as this will make the situation worse. If she thinks you were not happy with her, she will decide that she needs to be more submissive to please you. And the problem will get worse. Since this may take a few weeks to resolve, enter your home where there is a floor that can be washed easily—not on your best carpet. Do speak with guests, so that they help reinforce your training. Guests should greet you, not the dog, first. If your dog is really excited, guests should ignore him until he settles down. Then they can call your dog over for pats. When a dog lies on its side, it is assuming a submissive position. No one should pet the dog unless he is sitting or standing. This is so that you don’t encourage a submissive dog without confidence to become more submissive. Petting the dog in the lying down position communicates that you approve of his submission and want more submissive acts. To learn more about how to handle dog behavior problems, consider taking advantage of the huge library of dog training videos by Doggy Dan in New Zealand. His approach to dog training is simple, and it really works! 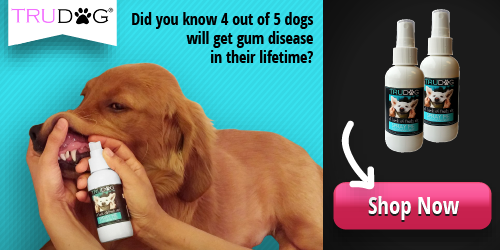 Gain access to Doggy Dan’s video course for 3 days for just $1 now.